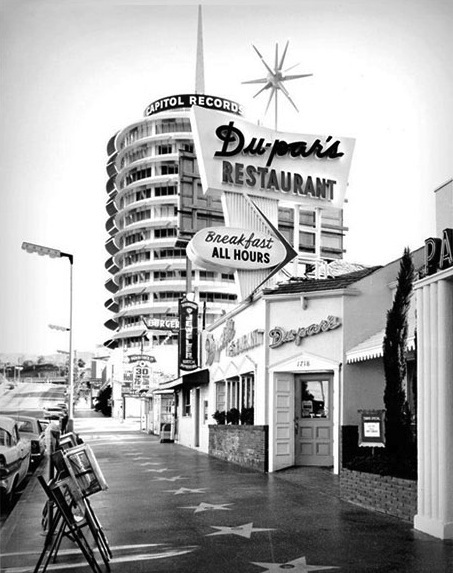 This is one of the first cool, California buildings that stood out to me as a youngster. 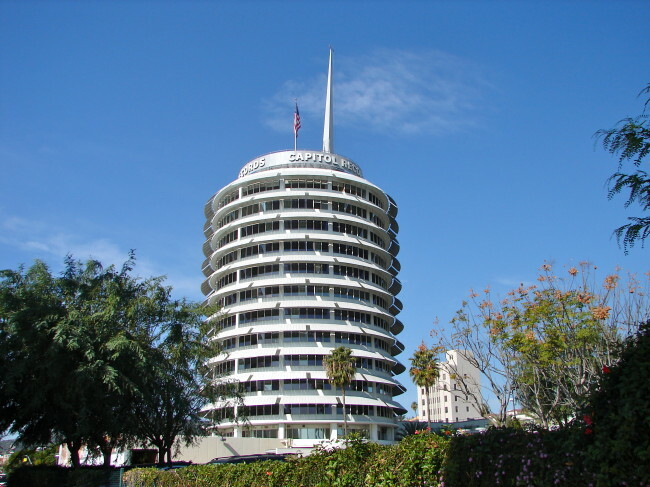 The 13-story high Capitol Records Building was constructed and completed in 1956 and was the world’s first circular office building. 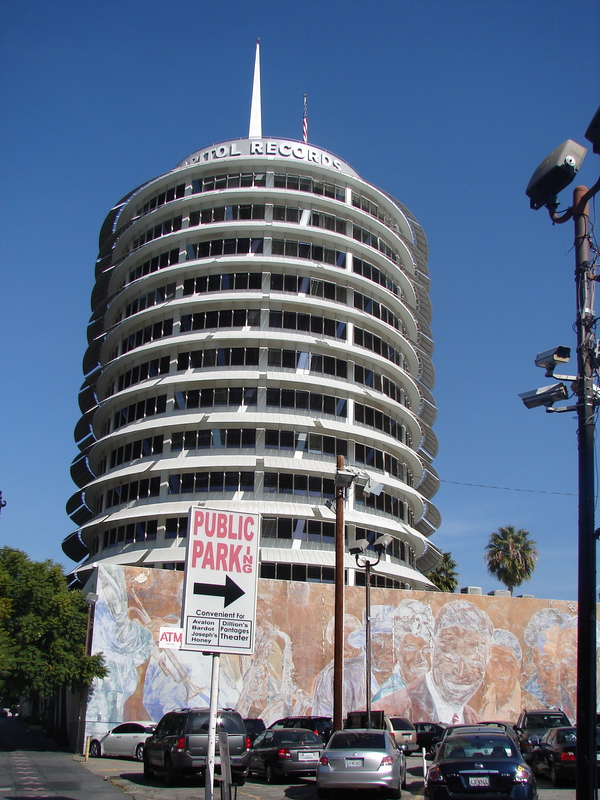 It was nicknamed “The House That Nat Built” because Nat King Cole brought a lot of success (and money) to the label. 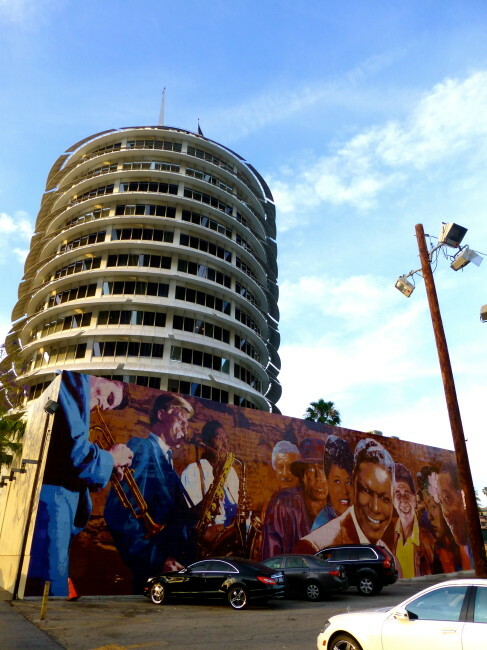 A large mural by artist Richard Wyatt, which is titled “Hollywood Jazz,” sits in front of the building. It features large portraits of Nat King Cole, Billie Holiday and many other jazz musicians. For years, this great mural fell into disrepair (I took the below photo in the spring of 2013). Thankfully, when I returned a year later, it had been restored to a semblance of its former glory. 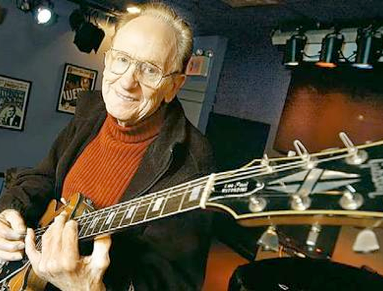 Guitar legend Les Paul helped design the property’s eight underground echo chambers, each producing a unique reverberation that can’t be duplicated. 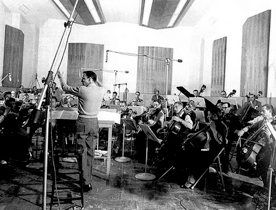 Frank Sinatra, Dean Martin, Coldplay and countless others have used the recording space. 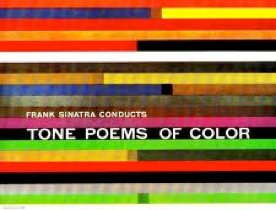 The first album recorded at the tower was Frank Sinatra Conducts Tone Poems of Color. There is a blinking light atop the tower that spells out the word “Hollywood” in Morse code. It’s done that ever since the building’s opening in 1956. This was an idea of Capitol’s president at the time, Alan Livingston. 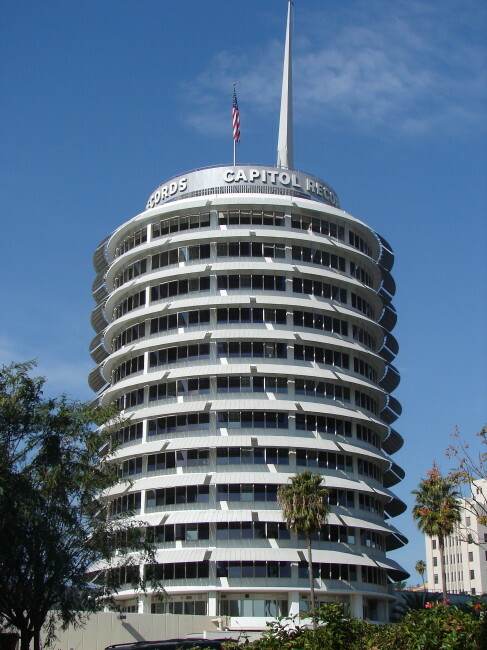 He wanted to subtly (yes, Morse code is pretty subtle) advertise Capitol’s status as the first record label that was based on the west coast. 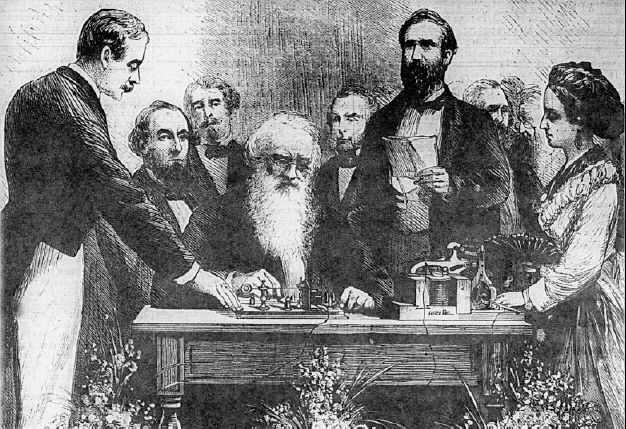 The switch was initially activated by Leila Morse, the granddaughter of Samuel Morse. 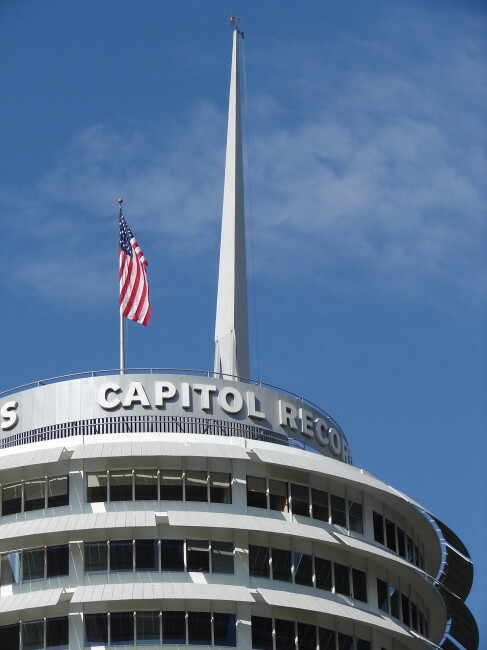 One of old Hollywood’s venerable structures, the Capitol Records Building is in danger of being the victim of the Wrecking Ball (condos have been rumored to replace it), but as of now, the old place is still there for visitors to see. I’ve heard that sometimes (if you know the right people) you can get a private tour. That is now my goal, so I have my “peeps” looking for those “peeps” (whoever they may be).